Welcome to this 3 bedroom, 3 bathroom 1/2 duplex style home located in the wonderful Meighan Creek Estates. This lovely home provides plenty of room for a family or great rental income for an investor. The main floor offers an efficient layout with an open concept. 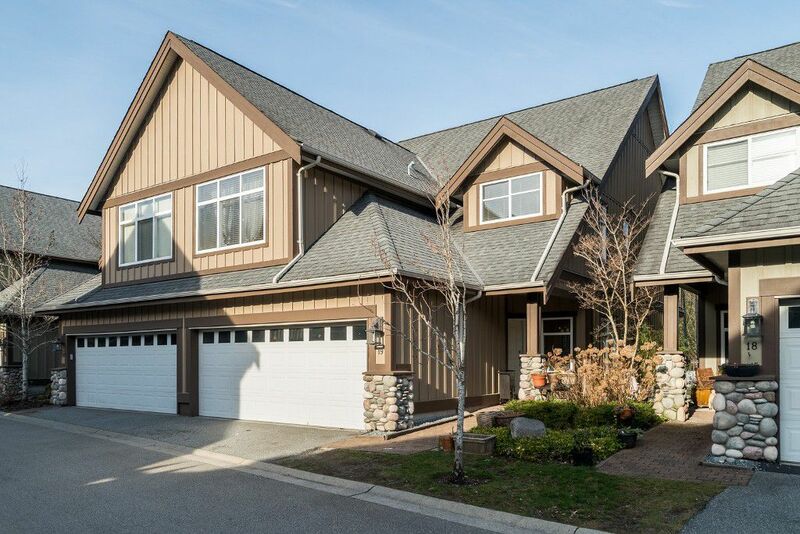 The kitchen transitions nicely into a large dining area that continues out to a large patio looking over a nice green space backing onto the frisbee golf course and enjoys great mountain views. The living room offers plenty of room for larger furniture and a cozy gas fireplace. There's also a 1/2 bath and double car garage accessible from inside on this level. Upstairs you'll find 3 large bedrooms with the master enjoying great easterly views and a large ensuite bathroom. Step outside your door and you have immediate access to some of the worlds best biking, climbing, kiting, fishing, ski touring etc. This home should not be missed.